Greg and Tim Hildebrandt better known to the illustration world as "The Brothers Hildebrandt" began their careers 1959. The Brothers have worked on documentary films and thousands of illustrations for text books, children's books, calendars, book covers, posters, comic books, advertisements, movie posters, production design for films, collectables and trading card games. They became internationally known for the original Star Wars movie poster and the 1976, 1977, and 1978 JRR Tolkien Lord of the Rings calendars. For over 50 years Greg and Tim Hildebrandt have received recognition from their fans in the genres of fantasy, science fiction, comic art, pinup art, western art, religious art, comic strip art, and sequential art. They have always been deeply grateful for all of their fans. 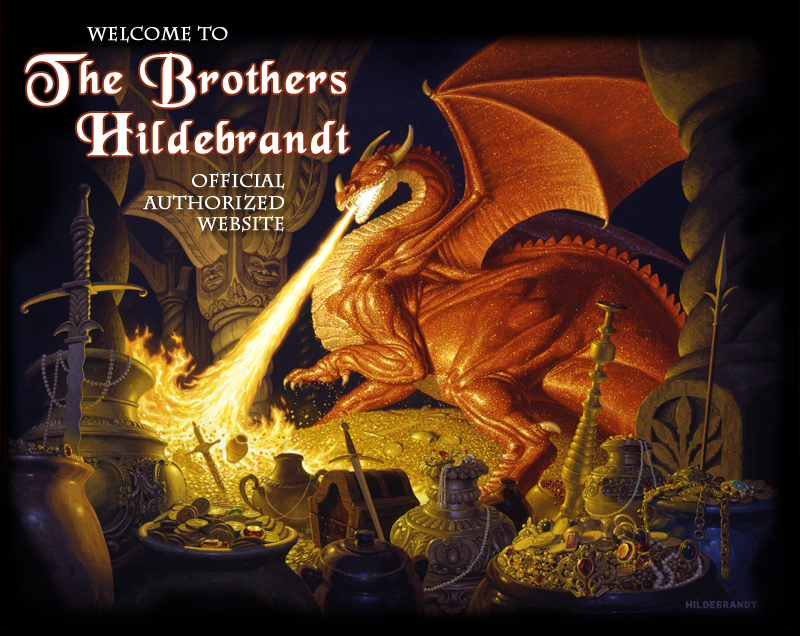 The Brothers Hildebrandt have worked for clients such as Marvel Comics, DC Comics, almost every book publishing company, Franklin Mint, Wizards of the Coast, Batfilms and Lucas Films. In 1999, Greg also began a series of 1940's-1950's pin up paintings, which he has titled 'American Beauties'. In 2001 Greg and Tim painted three tribute paintings to benefit the families of the fallen firefighters and EMS workers in NYC after the 9/11 attacks. Tim Hildebrandt passed away in 2006. He is greatly missed by everyone who knew him, especially his brother. Greg Hildebrandt continues to work every day, as art is his passion. Greg spends a majority of his time split between his 'American Beauties' pin up art and his work for the Trans-Siberian Orchestra, for whom he designs the tour program every year since 2003. Greg is still available for private commissions. If you are interested, please contact him via his agent, Jean Scrocco. If you would like to purchase the work of the Brothers Hildebrandt from SpiderWebArt Gallery, click here. To view Greg Hildebrandt's 'American Beauties' page, click here. Brothers Hildebrandt.com and all of its content is property of the respective artists or copyright holders. No copyrighted material can be reproduced without specific written consent of the copyright owner.